(Bloomberg) -- For investors with a lot on their minds, the decision to forgo an obstruction case against President Donald Trump meant deescalation in a drama that has been capable of breeding volatility in equities. 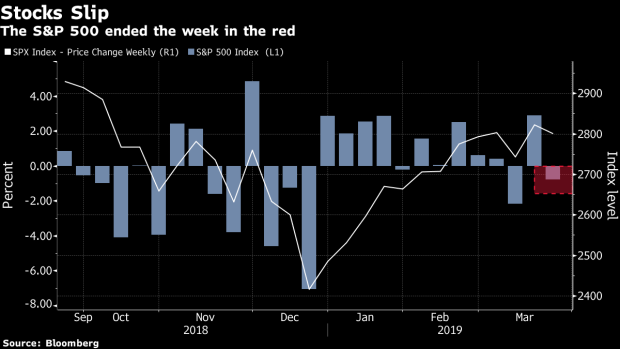 Whether it’s enough to kick life into an ascent that gave evidence of tiring last week in the face of a slowing global expansion is a separate question. For now, futures were showing little reaction to the news, with S&P 500 contracts rising less than 0.1 percent at 6:19 p.m. in New York.